Heartland Energy Options and the Oklahoma Department of Wildlife Conservation (OWDC) were honored with the 2016 Zach D. Taylor, Jr. Clean Cities Vision Awards during a ceremony yesterday at the Association of Central Oklahoma Governments (ACOG). The annual celebration was sponsored by ACOG and OG+E. The awards, which are named in memory of former ACOG Executive Director Zach D. Taylor, Jr., recognize outstanding accomplishments in advancing and deploying alternative fuels and advanced technology vehicles in Central Oklahoma. Taylor was a driving force behind the establishment of the Central Oklahoma Clean Cities Coalition, which became the nation’s first regional Clean Cities program in 1996. In 2016, the Oklahoma Department of Wildlife Conservation (ODWC) switched thirty-three light duty trucks to compressed natural gas (CNG). This was in addition to forty-four trucks converted by the Department the previous year. The agency has converted more vehicles in recent years than any other state agency. J.D. 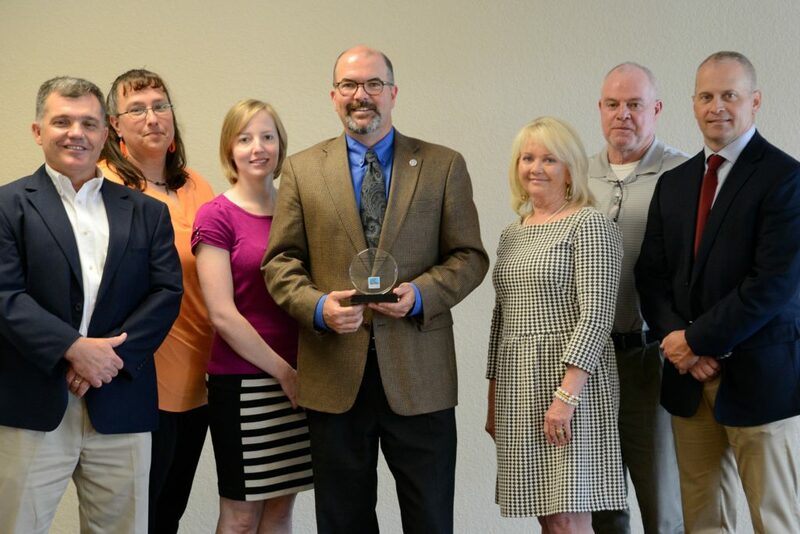 Strong, Executive Director of the Oklahoma Department of Wildlife Conservation celebrates the agency’s 2016 Clean Cities award with members of his staff. Heartland Energy Options has been a critical partner in advancing the goals of ACOG’s Clean Cities program; driven by the leadership of Heartland owner Justin Steckman. Justin and his team have demonstrated a commitment to alternative fuel industry safety, stability, and reliability. 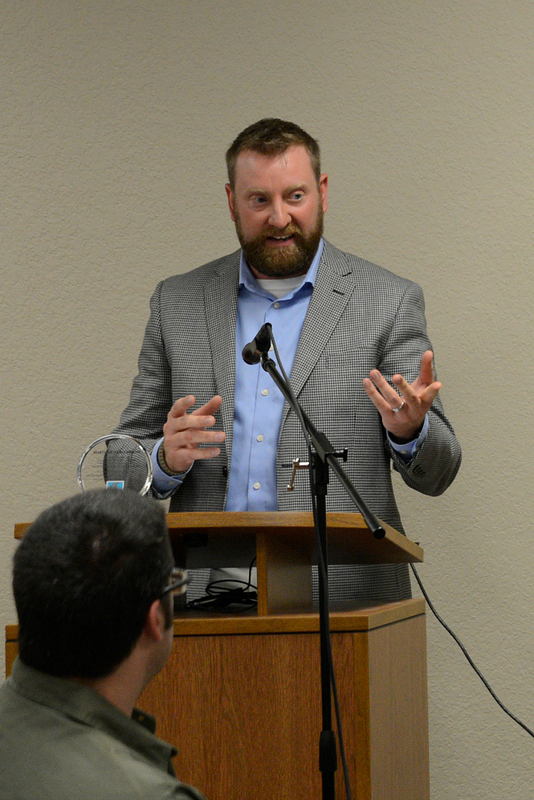 Justin Steckman, Owner of Heartland Energy Options, talks about his journey in the alternative fuels industry following receipt of his 2016 Clean Cities award. ACOG, in partnership with the Oklahoma Department of Commerce, the Oklahoma State Energy Office and the U.S. Department of Energy, established the coalition in 1996. The coalition’s primary goal is to advance the use of alternative fuels and fuel savings technologies in vehicle fleets across the state. In 1996, very few alternative fuel stations were open to the public. Thanks to Oklahoma’s Clean Cities stakeholders, Oklahoma leads the nation in publicly available CNG stations per capita at 101, has 143 propane stations, 53 electric vehicle chargers, and 29 ethanol (E85) stations. Clean Cities stakeholders, through the use of alternative fuels and other fuel savings projects, displaced more than 7.2 million gallons of petroleum in 2015, and 25 million gallons since 2009. For more information about alternative fuel vehicles, stations, and advanced vehicle technology visit okcleancities.org.